Should Parenting Plans Include a Nondisparagement Clause? More complex clauses address social media posts as well as what can be said about new partners or a step-parent in front of the child, and stipulate that the child is not to be used to convey information between the parents. They may dictate that the parent make reasonable efforts to maintain open communication and unhampered access between the child and the other parent, so as not to damage their relationship or natural love. In some instances, the parent must intervene and not allow the child to say something bad about the other parent. What is the purpose of a nondisparagement clause? The purpose of a nondisparagement clause is to protect the child’s relationship with both parents. Increasingly, the courts and psychologists are realizing the damage done to children when a child is forced to serve as a go-between or is involved in a nasty divorce. In my parents’ divorce, for example, my father would send me over to my mother’s house with envelopes full of receipts and letters demanding repayment. It harmed our relationship and was unfair to me because, no matter how hard she tried otherwise, my mom would view my arrival with dread. It’s precisely the sort of behavior that some clauses seek to prevent. According to Brown, they’re becoming more popular as a result of social science developments. A child is one-half one parent and one-half the other, and instinctively feels part of both parents. If she hears the mom trashing the dad, who is one-half of her, she can internalize a negative self-image. It’s important to note that no high-quality studies that have attempted to tie denigration to alienation have been published as of 2013, despite the fact that it’s generally accepted that denigrating a parent leads to alienation of the child from that parent. What has been proven is that denigration often has a boomerang effect in which the child ends up distancing himself from the parent who is putting down the other parent and becomes closer to the parent who doesn’t bad-mouth the other one. That’s what happened to me. In addition to using me as a go-between, my father frequently put down and belittled my mother’s intelligence and looks. As an adult, I saw through those tactics and became very close to my mother and have extremely limited contact with my father. How easy is it to enforce a nondisparagement clause? The drawback to a nondisparagement clause is, unfortunately, that they’re very hard to enforce. According to Brown, these clauses should be viewed as more aspirational in nature: “The reality is that the way the court system is set up, by the time you get in front a judge to even deal with the fact that there’s an allegation of it happening, weeks, sometimes months, may have passed, which makes it difficult to enforce.” It also often comes down to a he-said, she-said situation. While Brown has seen judges get frustrated with parents and warn them about saying nasty things about the other parent in front of the child, he’s never seen a judge impose a specific consequence or had parenting time suspended because of it. 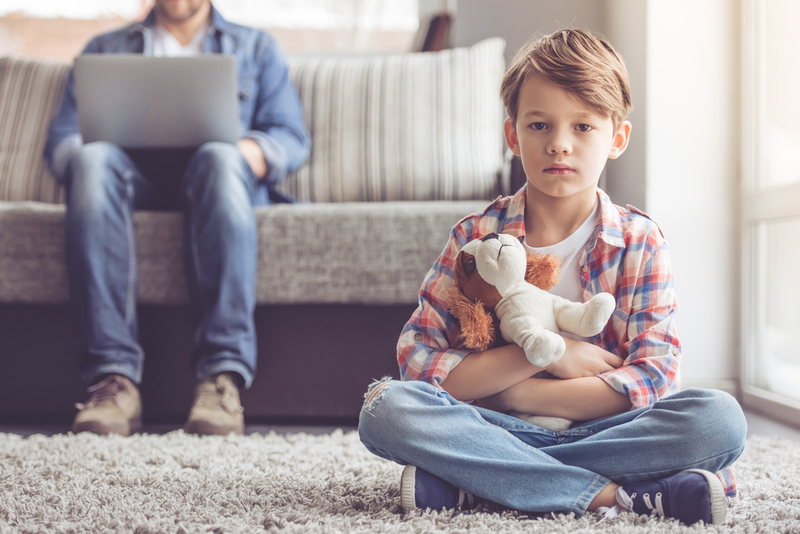 If the disparagement is happening during a case and a custody evaluator is involved, it may result in reduced parenting time if the evaluator has concerns for the child’s well-being, but after a case has concluded, little is likely to change if a parent violates the clause. How can you respond tactfully if your child says something negative about your ex? Many clauses contain wording about the child’s language, as well. They’ll often require that a Solo Mom discourage her child from saying anything negative about the father, which can be a difficult tightrope to walk. On the one hand, your child may be expressing her feelings and observations about the other parent. If you’re seeking to encourage her emotional intelligence, you don’t want to negate or undermine her confidence in her judgment of a situation. On the other hand, you don’t want to violate the clause. Because responding verbally requires a lot of tact, sometimes it’s best to just give your child healthy coping skills. According to Morin, “Drawing a picture, writing in a journal, or playing outside might be activities that help your child deal with his feelings.” If your child is expressing negative thoughts about the other parent, you can hand her crayons and paper or a journal as an outlet for her emotions. In general, it’s a good idea to not speak negatively about your ex with your child. It’s not easy, but vent to friends when your kid isn’t around. Although a nondisparagement clause can’t hurt, and can set the tone for a better coparenting relationship, it’s almost impossible to enforce. Even still, it’s worth it to try to live up to its ideals.